WHAT ARE THE AVG STATS FOR GTOWN School of Nursing and Health studies. Does everyone who appiles have above 2200's and is it more laid back with 1900 and above. 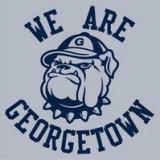 fyi georgetown does not consider the writing portion of the sat. as far as they're concerned, it's still out of 1600.